Europe Direct Larnaca supports Startup Europe Week 2018 Larnaca! Startup Europe Week is the largest multi-event of its kind for startups in Europe and the third edition will be held 5 – 9 March 2018. The growth hacking agency RiseTech Media is an official co-organiser and will hold 4 events to showcase the support and resources available for entrepreneurs in Limassol (5/3), Nicosia (6/3), Larnaca (7/3) and Paphos (8/3). Europe Direct Larnaca supports the event in Larnaca. 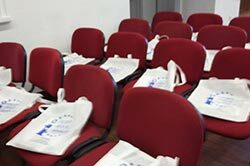 The #SEW18 Larnaca event will be hosted at the new Youth MakerSpace Larnaka. Startup Europe Week aims to showcase the support available to entrepreneurs on a city and regional level. Why is this necessary? Regional diversity and local policy making still play a big role in shaping European startups, from helping entrepreneurs to incorporate a company, to providing grants or taxes breaks. For this reason, taking a local perspective is crucial to supporting entrepreneurs in Europe. In 2017, #SEW17 saw 280+ co-organisers organize hundreds of events in 40+ countries. The week of events reached 100000 entrepreneurs across Europe, and as a grassroots movement achieved 18 million+ impressions on social media. In 2018, #SEW18 will be held between 5-9 March, with +300 events planned. SEW now has 50+ countries involved and is expanding beyond Europe to include Africa, the Middle East and Latin America. 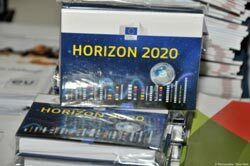 In the spirit of regional connection, #SEW18 will be launched with a joint event between two local ecosystems: Vitoria-Gasteiz, Spain and Brasov, Romania. This year, RiseTech Media is an official co-organiser and will hold four events to showcase the support and resources available for entrepreneurs in Cyprus. The startup networking events are open to anyone who works with startups or who is thinking about starting their own business. 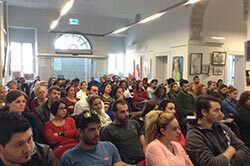 The event will be held on 7th of March and will have the participation of local entrepreneurs, investors and startup founders such as Panayiotis Philimis (CyRIC/Gravity Incubator), Yiannis Menelaou (Lykke), Natalia Demetriou (Bandster) and RiseTech Media growth hacker Panis Pieri (DisruptCyprus.com). http://eudirectlarnaca.eu/wp-content/uploads/logoEN.png 0 0 Myrto Katsouri http://eudirectlarnaca.eu/wp-content/uploads/logoEN.png Myrto Katsouri2018-03-05 13:13:252018-03-05 13:13:25Europe Direct Larnaca supports Startup Europe Week 2018 Larnaca! 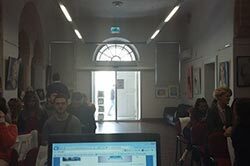 This Forum is an initiative of the Erasmus+ National Agency of Cyprus and its Partner Institutions in an effort to strengthen cooperation in the EuroMed area. The topics of Youth Participation and Active Citizenship align with the European Youth Strategy, as well as the National Youth Strategy (NYS) which is being implemented by the Youth Board Cyprus (National Agency of the Erasmus+ YiA Programme in Cyprus) for the period 2017-2022. The NYS of the Youth Board of Cyprus perceives young people as valuable citizens who can actively and creatively contribute to the development and prosperity of their local community, country, and to global advancement. Young people’s participation in policy formulation, implementation and evaluation are core values of the NYS. This participatory approach also ensures that policy responses meet the needs and challenges of young people and that the youth dimension is reflected in policy making and action planning. 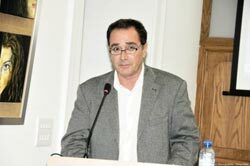 Cyprus has its distinguished geographic location in the EuroMed area and is adept in playing an active role in the further development of youth participation and active citizenship in the wider region. For this reason, the Forum will bring together representatives from both European and South-Mediterranean countries, with a core interest in strengthening participation, in particular of young people, and in further promoting the concepts of citizenship and democracy, comprising the development of an understanding of the EU’s values with neighbouring countries. The importance of enhancing cooperation in the EuroMed area is based on the shared history of the Euro-Mediterranean neighbouring countries, which face a collective reality and a joint future in the region. Therefore, the Forum emphasizes the role of policy makers and active organisations in supporting young people, considered to be significant players in bridging the two sides of the Mediterranean, such that channels of cooperation and targeted action are enhanced. Within the geopolitical context of the EuroMed area, cooperation becomes a greater necessity for sustaining young people’s participation through alternative methods, focusing particularly on the complexities and challenges within their local realities. Therefore, we believe that youth work, youth educational programmes (formal and non-formal), community interventions, national and local development strategies are required to support the process of sustainable participation. The Forum will highlight practices and tools that support young people so that they can actively partake in their communities. ● Fostering collaboration among different players present at the Forum. The Forum will also be an opportunity to address questions on youth participation through connecting the theoretical part with the participants’ local realities. The Forum will last 3 full days, from 18 (arrival day) to 22 (departure day) of April 2018, with around 60 participants. The Forum’s methodology is based on the non-formal learning approach (i.e. collective learning, group and panel discussions, showcases, inputs from experts and policy makers) and will offer space to closely engage participants in sharing their practices, tools, experiences, and relevant resources. A group of 60 Junior Ambassadors, young students from Cyprus participating at the European Parliament Ambassador School programme, will participate on the 2nd day of the Forum. ● be representatives of educational institutions interested in developing youth participation and active citizenship. 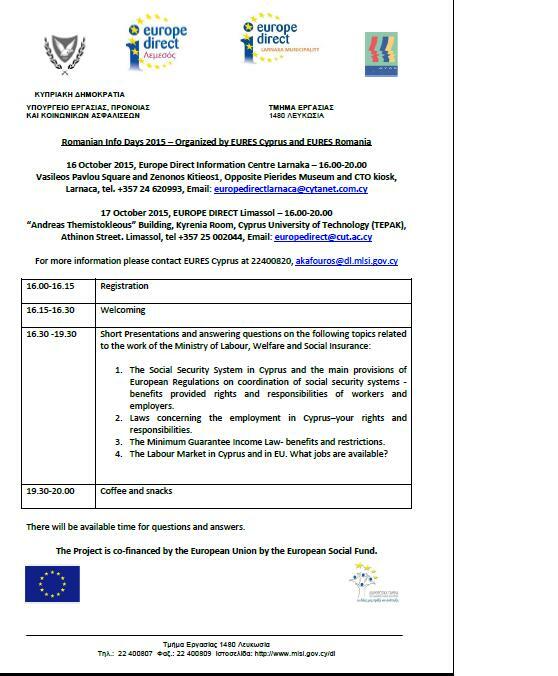 The Forum will be conducted in the English language, apart from a small session which will be carried out in Greek and for which interpretation will be provided. There is a different type of Library amongst us; which is unlike any traditional Library we know. It is ever changing, ever evolving and the books are alive! What we are referring to is The Human Library. A Library where Humans are the books; and these books tell their life story. Stories which are unconventional; perhaps eccentric; and unusual in the eyes and ears of the reader. Stories which have created stereotypes; and even prejudice due to society’s ignorance towards the subject matter of the books. Through conversation and discussion, The Human Library aims to break the boundaries and stereotypes created around the story of each book and for the reader to gain a better insight into the narrative; and for them to re-evaluate their own perception of the story after “reading” the book. The Human Library will be in Larnaca for a second consecutive year on Saturday 13th of May 2017; from 16:30 – 19:30 at the Larnaca Pier next to the Medieval Castle at the end of the Phinikoudes Avenue. 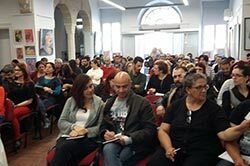 Organizers of this event are Europe Direct Information Center in Larnaca in collaboration with the alternative event planning team – Animi and Human Library Cyprus. The list of “books” will be announced soon! http://eudirectlarnaca.eu/wp-content/uploads/logoEN.png 0 0 netinfo http://eudirectlarnaca.eu/wp-content/uploads/logoEN.png netinfo2015-07-13 14:39:052015-07-13 14:39:05ΕΚΔΗΛΩΣΕΙΣ ΙΟΥΝΙΟΥ 2015 - ZENOBIA WEEK-Conference "Artificial Reefs Management. 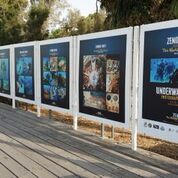 Prospects and Benefits for Diving Tourism"
Υoung people from different countries of Europe, have visited Europe Direct Information Centre in Larnaca and they had the chance to inform about the role of Europe Directs and how to get information about youth programs. The events that took place during this week aimed to promote sustainable mobility and encouraging people to use their bicycle as a mean of locomotion. 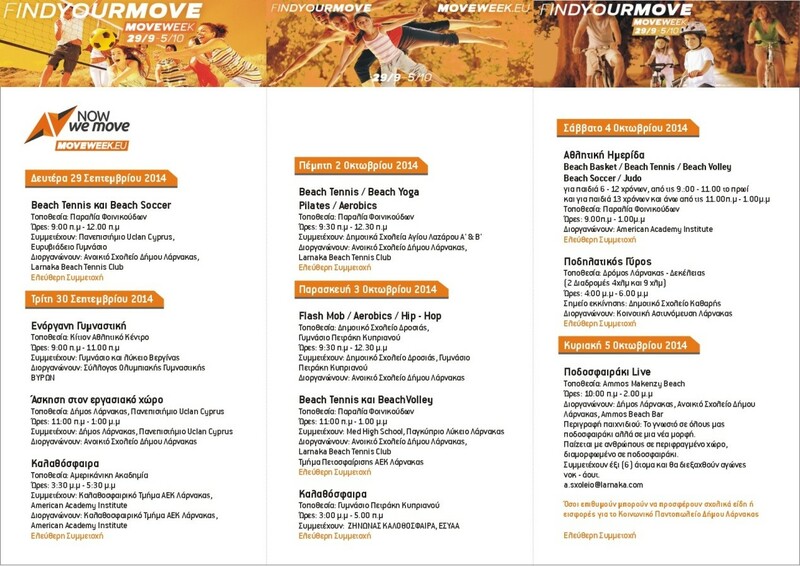 Larnaka Municipality in collaboration with the Cyprus Sports Organization and the Open School, organized from September 29 up to October 5, 2014, the European MOVE WEEK. 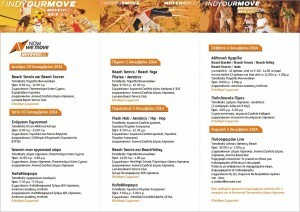 European MOVE WEEK is an annual European campaign that promotes sports and physical activity in the European societies. During the week, many sports events organized for the public. Europe Direct Information Centre in Larnaka supported the events, which was a big hit at any age! “Hope For Children” UNCRC Policy Centre (HFC) in partnership with the Andrey & Julia Dashin Foundation announces for the second year the launch of the campaign “Back to School with Hope” to offer free school supplies to low-income families in Cyprus, as part of HFC’s program “Eradicate Child Poverty in Cyprus”. Education is the key to a bright future and investing in education is a top priority for us. Therefore, the target is simple… to help as many students as we can to start the new school year with the necessary school supplies. The public’s contribution and our team effort should be demonstrated so that we can properly equip children in need and to spread the message to the society that even a small contribution to our fellow citizens constitutes a significant assistance. The campaign will be ongoing from September 2014 to January 2015. On September 19th, an event for collecting school items will take place at Kimonos Square in Larnaca, from 17:00 until 20:00 in order to receive as many school supplies as we can for the “Back to School with Hope” campaign. The public can attend the event to drop new school items or used items in good condition. 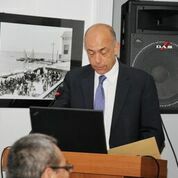 The event is organized in collaboration with the Larnaca Municipality and the information centre Europe Direct Larnaca. On September 28th, from 17:00 until 19:00 Revealed Square in Nicosia, another event for collecting school supplies will take place at Faneromeni Square in Nicosia. The public can attend the event to drop school items players of APOEL will be present to sign autographs. Both events in Larnaca and in Nicosia will be covered by a live link by Deejay Radio. 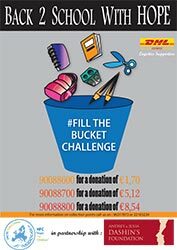 If any institution wishes to get involved in the campaign “Eradicate Child Poverty in Cyprus” and for more information and details about the collection points please contact “Hope For Children” at 96 317873 or at 22 103234. 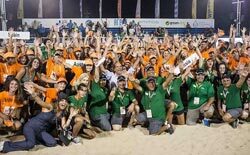 With a great success held the FIVB Beach Volleyball U21 World Championship, which took place from 23 to 27 July at the Promenade of Phinikoudes, organized by Larnaka Municipality. 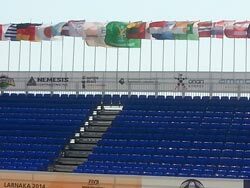 The Europe Direct Information Centre in Larnaca was one of the official supporters of the World Championship and support approximately 400 volunteers who took part in the event. The event was held on July 25, 2014 on the Promenade Beach of Phinikoudes in Larnaka. 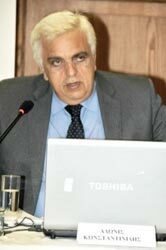 The event was informative. Also, during the event we had Live Link and dancing. 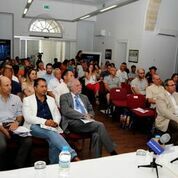 The Europe Direct Information Centre in Larnaka supported the event.